With this relighting of the Monument exterior, FMS has now completed a project that began in 1990 when the Lobby and Entry was restored and followed by the Elevator, Observatory and Gift Shop restoration in the late 1990’s. The exterior relighting was part of a security upgrade to the entire site. The three primary goals of the lighting design was to be highly maintainable while shielding all sources and integrating all light fixtures to the greatest extent. Five mockups were performed to verify aiming angles, intensity, color rendering, fixture spacing and how best to reveal the Monument’s shape and texture. 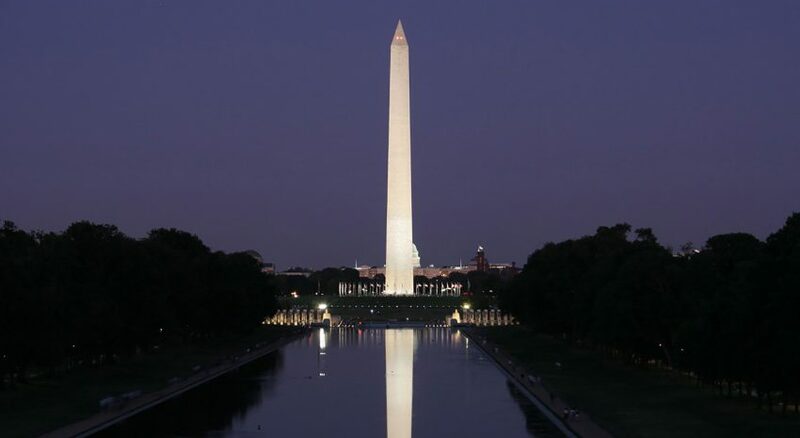 The latest in light source technologies were selected to provide a higher level of color rendering for the monument, and a custom LED fixture was designed for the new perimeter path.